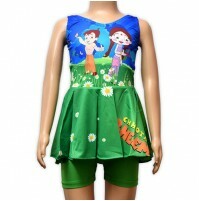 Unique & exclusive range of Chhota Bheem Swimwear collection for your little kids. 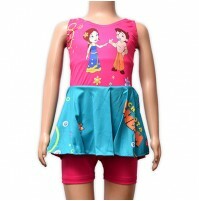 This Swim Tshirt with full raglan sleeves with all over print on tshirt and is double stitched with Chhota Bheem Print on Shorts. 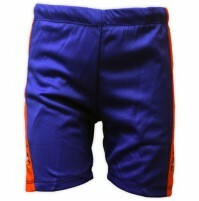 It is is made from soft fabric which helps to drain water quickly.